The Critical hit Show is very excited to announce a special guest for the October 30th Halloween Spooktacular: Award-winning comic book artist PIA GUERRA! Pia is probably best known for her work as co-creator and penciler of Y: The Last Man. 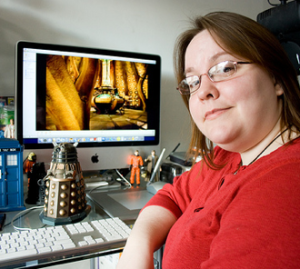 She’s also drawn stories for Doctor Who, Torchwood, Ultimate Spider-Man, and a whole bunch more! During the show, Pia will be drawing a monster live on stage, created by YOU! We’re really excited to have Pia join us on stage for this very special Halloween show. Tickets are available now online! Get ’em while you can! And stick around after the show for a live recording of the Sneaky Dragon Podcast!